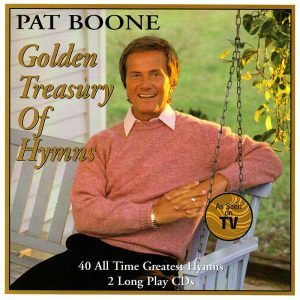 All children love listening to stories from the Bible, and Pat Boone– iconic musician and member of the Gospel Music Hall of Fame – loves telling them! He has been sharing his favorite Bible stories for years, first with his four daughters, then his grandchildren and great grandchildren. Perfect for Vacation Bible School, family vacations, back-to-school, and home schoolers! 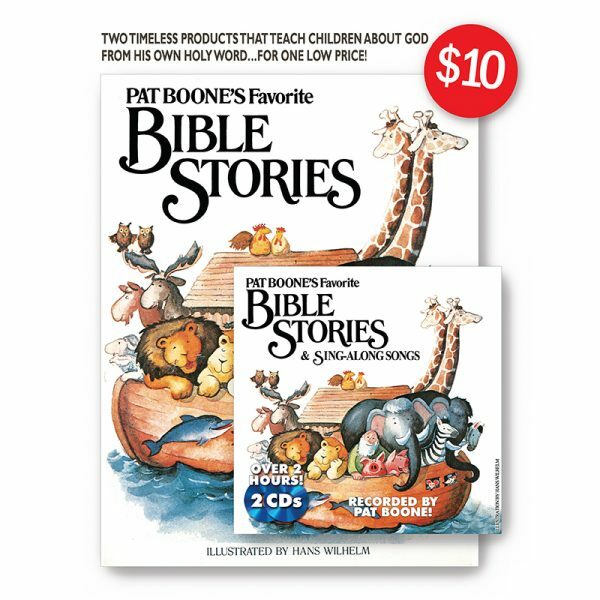 9 best-loved stories from the Old Testament with 61 pages of colorful illustrations by Hans Wilhelm, one of America’s foremost authors and illustrators of children’s books with over forty two million books in print. 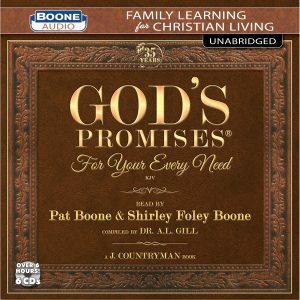 12 best-loved stories from the Old Testament – and a song to go along with each one – recorded by Pat Boone just the way he shared them when one or more of his “grands” were snuggled up on his lap. 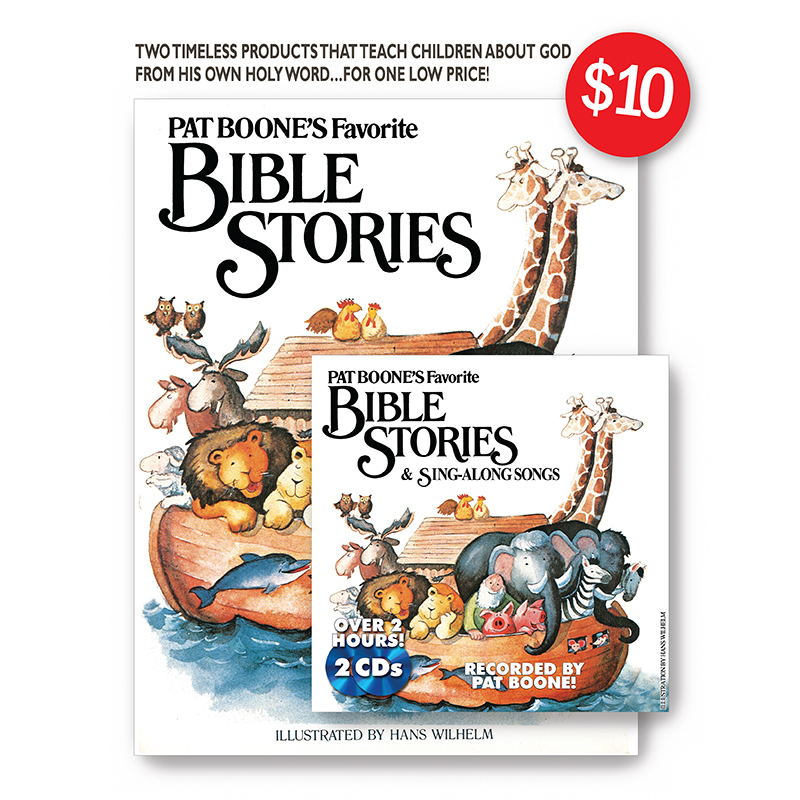 Over 2 hours of Bible stories and sing-along fun!